Our Events teams are specialists in managing, handling and organising all types of events which require a hands-on bespoke logistics solution, including concerts, major sporting events, TV & film as well as corporate events. When there’s a live event, there’s no “next time”, and the logistics process in getting the equipment to the venue simply cannot fail, ever. Our experienced and committed Events Team are highly experienced in managing and delivering to events in global locations and to a wide range of events, working to strict deadlines. Our Event’s team meticulously plan every detail of the logistics process, including cost effective transport modes, full Customs requirements, on-site set up and support as well as on-site management during the event itself. Once the event is finished, we can move the production onto another venue or transport it to its origin point, arrange safe storage until the equipment or product is required at another location. 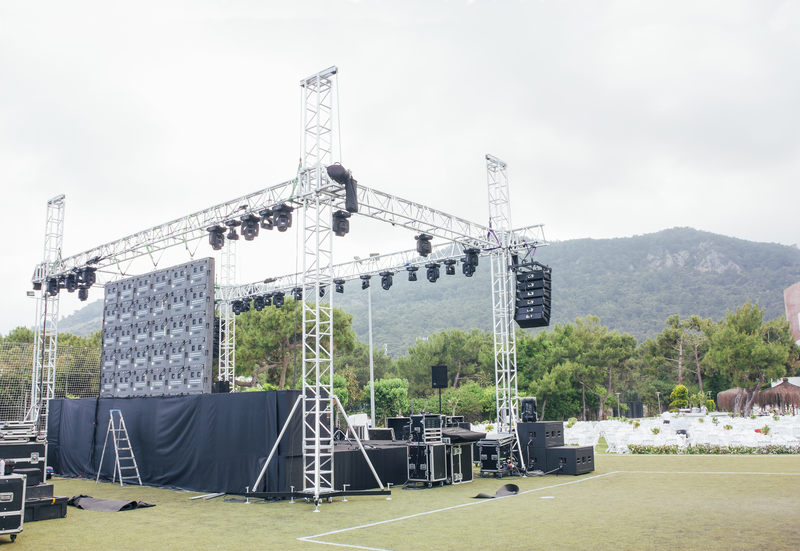 Our experienced Events technicians are qualified to construct a wide range of structures, including concert stages, exhibition stands, film sets as well as a wide range of structures for sporting and corporate events.